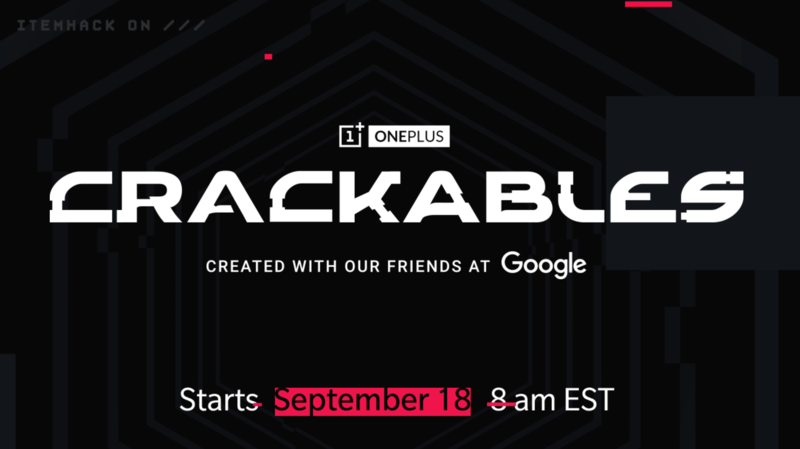 OnePlus and Google have just announced a new game called Crackables, featuring a mix of real-life and digital puzzles. Various rewards will be dished out along the way, with an "ultimate gaming setup" worth $30,000 going to the grand prize winner, though the route to get it doesn't sound easy. If you're interested in playing, the game officially begins tomorrow, September 18th at 8AM ET. Players of Crackables will be competing with one another to solve a series of puzzles, both skillfully and quickly. OnePlus and Google release Crackables, a crypto puzzle game with a grand prize worth $30,000 was written by the awesome team at Android Police.